W Sept. 8: at Pittsburgh Steelers, 1 p.m. Call me crazy but I think the Titans can win this game. Let’s not forget the Titans beat the Steelers last year in a well fought battle. 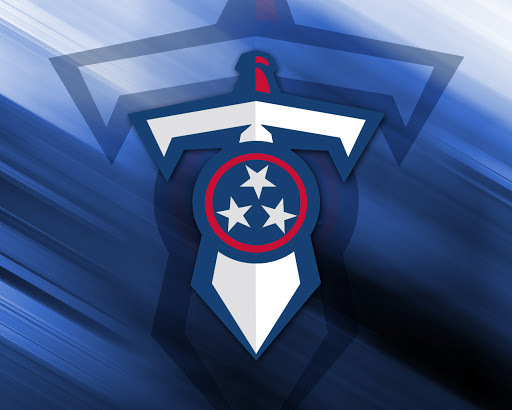 Granted, that game was in Nashville and playing in Pittsburgh is a different animal but I expect to see a hungrier much improved Titans team in 2013 with so much at stake. L Sept. 15: at Houston Texans, 1 p.m. The Texans swept the Titans last year for the second time in team history, but I don’t expect that to happen this year. The Titans will lose a tough game in Houston but split the series with a win at home later in the season. W Sept. 22: vs. San Diego Chargers, 1 p.m. The Titans lost to the Chargers last year in San Diego in the second game of the season when they were struggling mightily to cover tight ends. After inserting rookie linebacker Zach Brown into the starting lineup, that issue was largely resolved. The Titans largely failed to defend their home territory last season and as a matter or pride I expect they will rectify that issue in 2013. W Sept. 29: vs. New York Jets, 4:05 p.m. Which quarterback will the Titans face when theyface the Jets? You have to think it will be Geno Smith but regardless the Titans beat the Jets in 2012 and you have to think they will do it again. W Oct. 6: vs. Kansas City Chiefs, 1 p.m. This is an ambitious pick since I think the Chiefs are greatly improved and should be a better team under Andy Reid and Alex Smith. Having said that, the team is still in rebuilding mode and this is a home game. L Oct. 13: at Seattle Seahawks, 4:05 p.m. The Seahawks are a force to be reckoned with and a strong offseason in addition to an already stacked team leads to a blowout in Seatlle. I just don’t see the Titans winning this game on the road as Seattle is a great team and its a tough place for visiting teams. L Oct. 20: vs. San Francisco 49ers, 4:05 p.m. The Titans once again face another NFC powerhouse this time at home. Unfortunately, the Niners are loaded and despite being a much improved team it’s hard to imagine them pulling off this win at home. W Nov. 3: at St. Louis Rams, 1 p.m. The Titans travel to St. Louis to face the Rams and former head coach Jeff Fisher who is doing a good job rebuilding the team who beat him in the Superbowl. If the Titans lose this game to Fisher I will personally go down to Baptist Sports Park and whoop up on every single Titan I can find. The Titans should still be reeling over being one of two wins the Jags pulled off in 2012 during a dismal 2012 season. The Titans win this game over a division rival at home. W Nov. 14: vs. Indianapolis Colts, 8:25 p.m. The Titans let their division rival the Colts sweep them in 2012 but I expect them to split the series in 2013. The Colts while good are still a few pieces away and the Titans should be hungrier and more motivated with so many having so much to lose in 2013. W Nov. 24: at Oakland Raiders, 4:05 p.m. I debated on this pick a lot and I do think it will be hard for the Titans to win in Oakland. It is a tough place to play but the Raiders just aren’t there yet and much rests on how well Matt Flynn will perform as a full time starter. Still, I do think this is a game the Titans could very well lose unless they play tough disciplined football. L Dec. 1: at Indianapolis Colts, 1 p.m. The Colts are 14-6 all time at home against the Titans and I expect them to split the series in 2013 with a win at home. L Dec. 8: at Denver Broncos, 4:05 p.m. I just don’t see the Titans winning in Mile High City against the machine that is Peyton Manning and the Denver Broncos. W Dec. 15: vs. Arizona Cardinals, 1 p.m. The addition of Carson Palmer should help the Cardinals but they are still clearly a team in transition. The Titans should win a tough fought battle at home. W Dec. 22: at Jacksonville Jaguars, 1 p.m. The Titans went to Jacksonville and let the Jags beat them in an embarrassing loss in 2012. It was one of only two wins for the Jags and the Titans put in an inexcusably poor performance coming off their bye week. They can redeem themselves by sweeping the series in 2013. W Dec. 29: vs. Houston Texans, 1 p.m.
Can the Titans win at home and prevent the Texans from sweeping them again? Will this be a meaningless game for the Texans who might be resting players in preparation for the playoffs? I put this down as a win at home but this is another game that could clearly go the other way depending on how the 2013 season plays out.